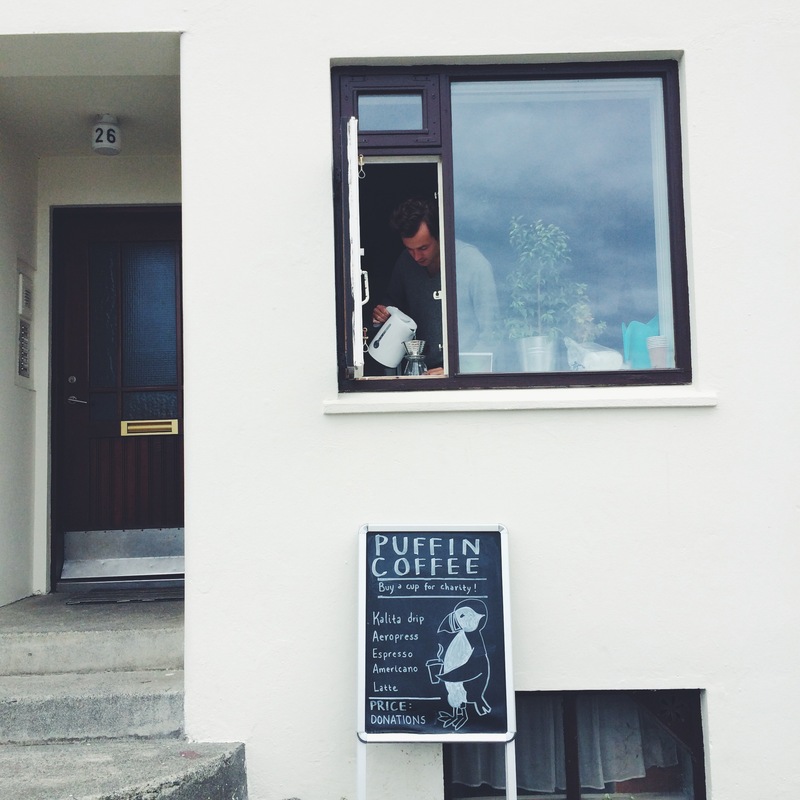 Puffin Coffee is coffee for a cause, the charity for autism aid, Ambitious About Autism. Each cup is hand brewed with love, and served right outside my kitchen window on Baldursgata 26, in Iceland's capital Reykjavík. Whether you want espresso, a latte, iced coffee, or hand-drip pour over, Puffin Coffee has got you covered. © 2014 Sverrir Rolf Sander.